Here is a card I made for the Sunday Stamps sketch challenge. 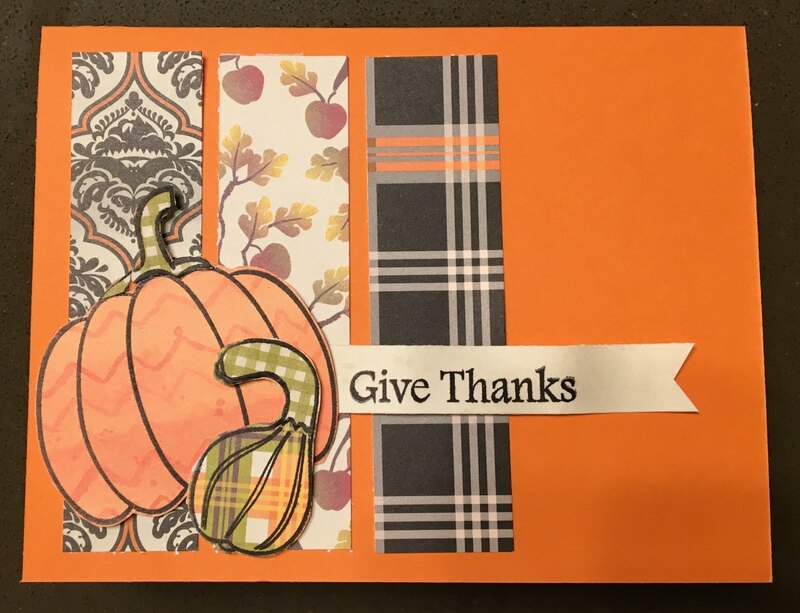 I used one of my favorite stamp sets from Iron Gate Stamps along with patterned card from American Crafts Pumpkin Patch pad. Love it! Certainly puts me in the autumn mood! What a great card - quick and easy using a nice patterned paper pack! I love your paper piecing for the pumpkins. 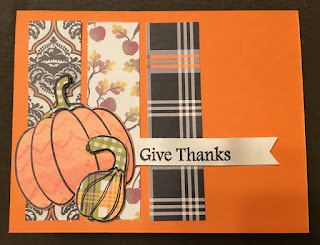 Thanks for sharing on Sunday Stamps this week!